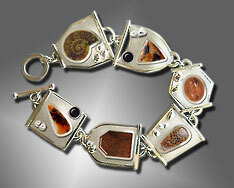 Interested in a custom designed bracelet and want some inspiration? 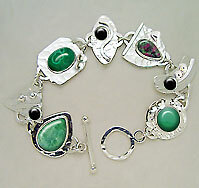 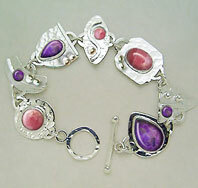 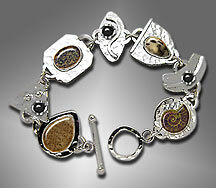 This page shows some example bracelet designs. 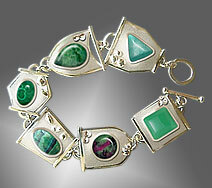 These images were created with a combination of digital photography and an image editor to illustrate a design using various gemstones.